This report is the second and last covering my path of iniquity. 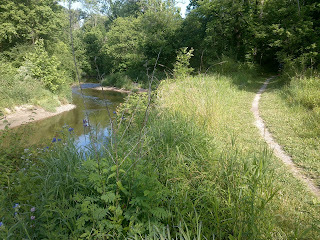 Yes, I confess to have strayed from the way that the Trail Gods set before me. 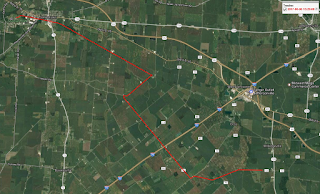 Yet the route I chose could truthfully be called the Straight Path (or at least the straighter path), so who's to say which is the true course? 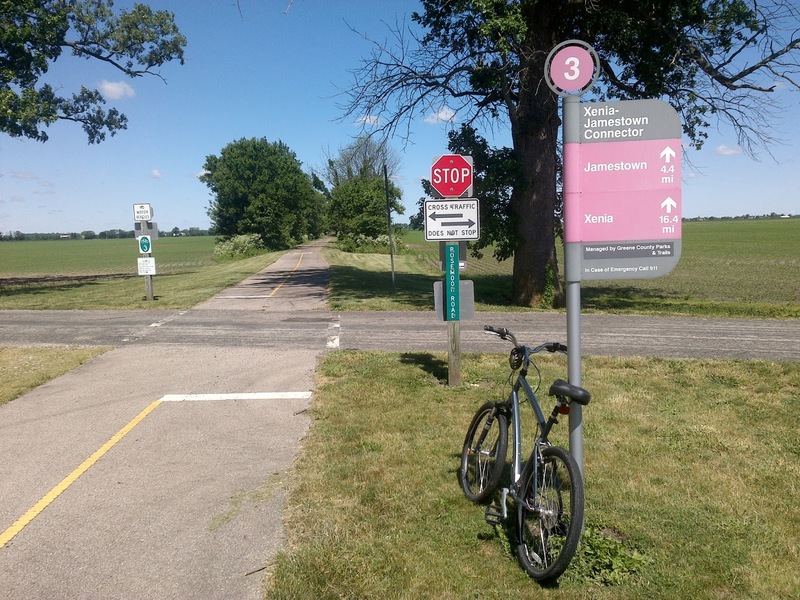 In my last report I covered the Tri-County Triangle Trail, a 34 mile paved bike path lined with cheesy poetry on official signs, which headed west from Chillicothe where I temporarily abandoned the route of the Buckeye Trail/North Country Trail. 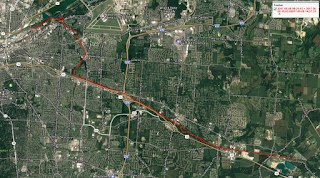 The trails covered here include a short road walk to the unimaginatively named Xenia-Jamestown Connector Trail, and then the Creekside Trail, which brought me back to the Buckeye Trail in Dayton, Ohio. 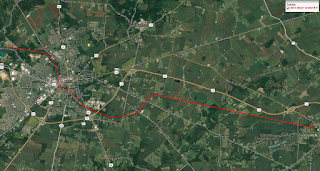 This route saved me time and lots of road walking and likely saved me from scratched-up legs and tick bites caused by the thorny overgrown off-road trail that is endemic this time of year wherever this seldom-hiked trail plunges into the woods. Late spring is the time that maintainers hate. They can't keep up with the burst of growth. Mid-latitude plants do virtually all of their growing before the heat and dry weather of summer sets in. By mid-June the growth spurt is over and maintainers get out and hack it back and then the trails are passable again. Often one further pass is made in late summer or early fall, and the trail is good to go until the following spring. 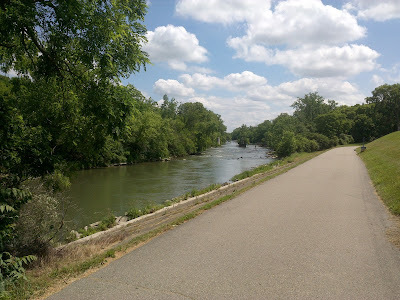 So this short-cut on paved bike trail presented itself at a good time for me. 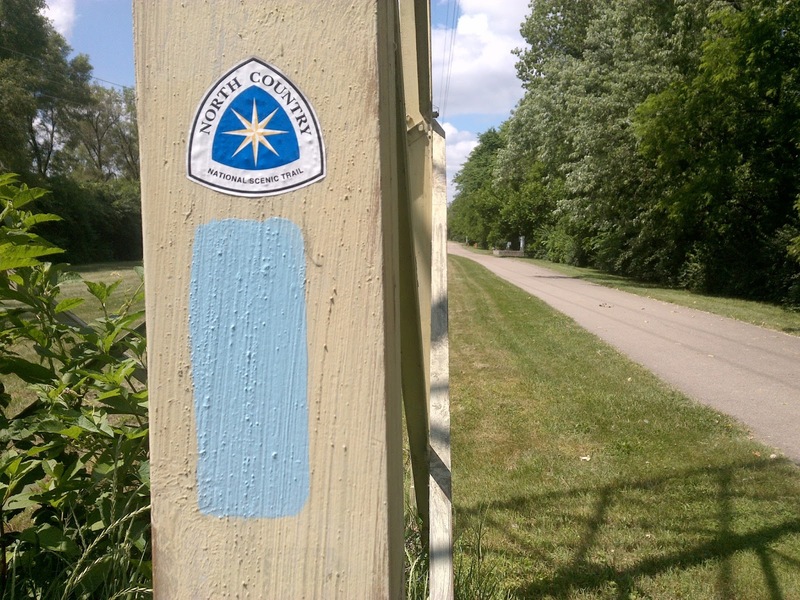 The Connector trail comes into Xenia from the east. 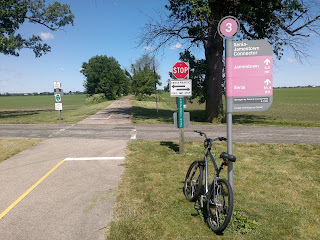 Xenia promotes itself as a bicycler's mecca because the spider web of old abandoned rail routes that converge on Xenia Station have all been converted to rail trail. Even the station building is a reconstruction, and the parking area surrounding it was abuzz with bicyclers loading and unloading. 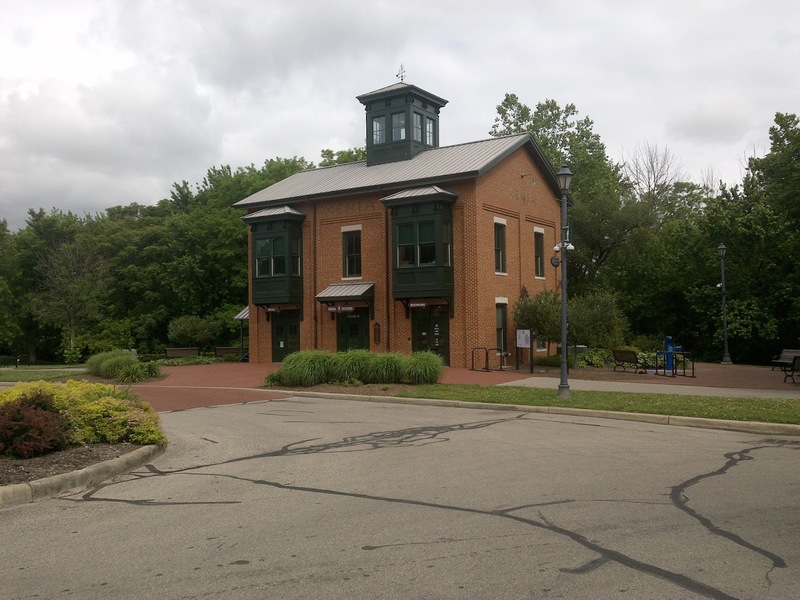 From Xenia Station one can choose five bike trails including the unfinished Cincinnati to Cleveland Ohio (river) to (lake) Erie Trail, the Little Miami Scenic Trail, the Prairie Grass Trail, and the two trails I followed. 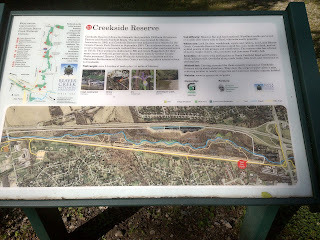 I left Xenia heading west on the Creekside Trail, and despite my protestations about unmaintained footpaths in the woods, I had the opportunity to digress from the paved bike trail to wander through Creekside Reserve. Here the trail was well trampled, and the maintainers had been hard at work. It literally was a Creekside trail. 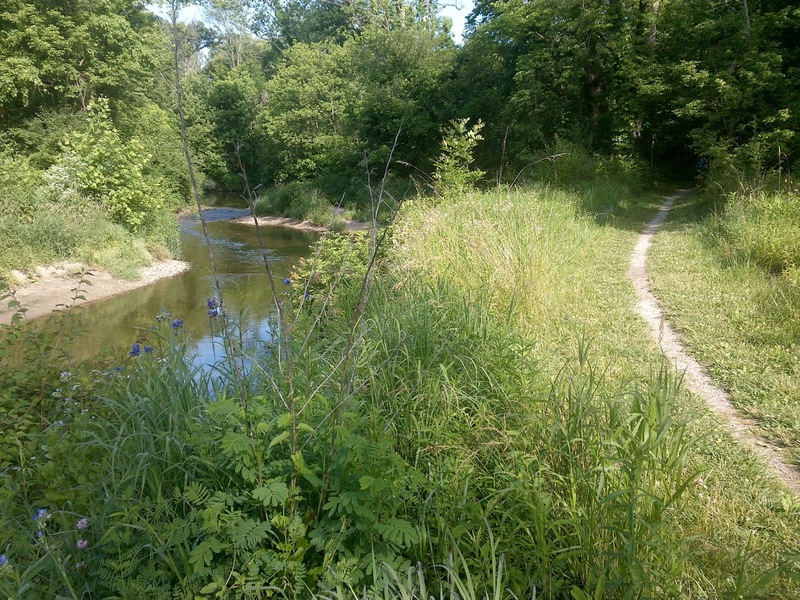 Where the Creekside Trail ends, it hooks up with the Mad River Trail (a scene beside the Mad River is the headline photo). The Mad River Trail and those connecting in Xenia are all part of what is being sold as the largest network of continuous paved bike trails in the United States. 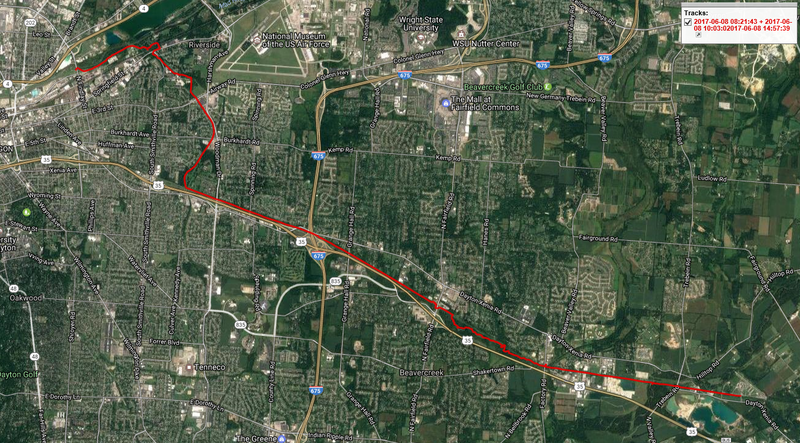 Collectively this network is known as the Miami Valley Trail system. 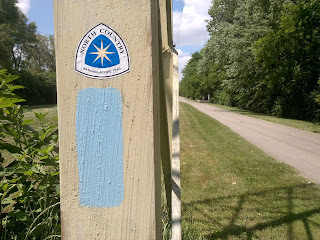 And the Buckeye Trail and North Country Trail make extensive use of this system. I was back on the path of righteousness. So there's much more bike trail ahead. Stay tuned. 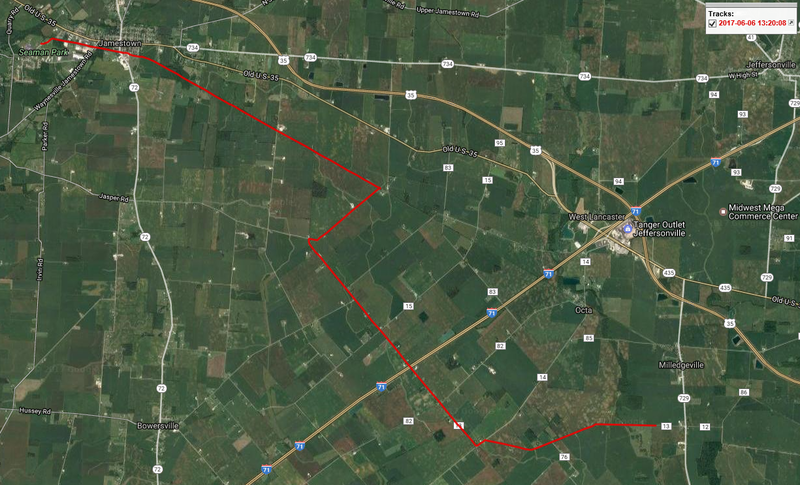 Here are screen shots of the GPS tracks for the three days it took to get me back to the fold.